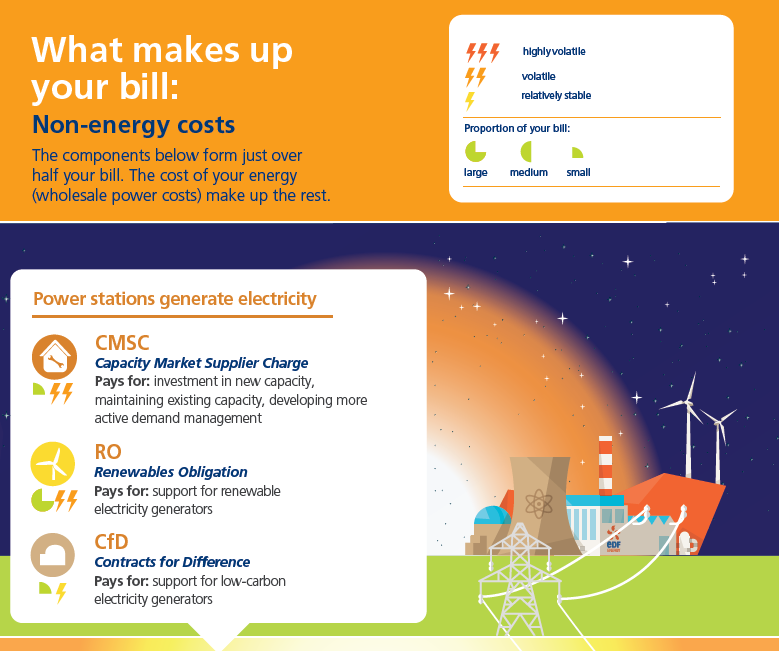 The cost of the energy your business uses – this is your energy cost. So that’s simple. And the cost of making the energy and the system that gets it to your business now and in the future – these are your non-energy costs. And these are more complex, with a lot of jargon that makes them even more confusing. 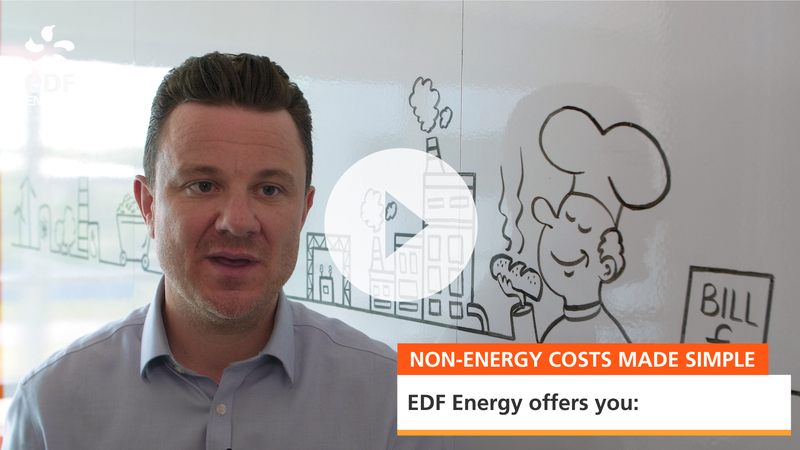 Watch our Sales Performance Executive, Luke Stavrou, bust the jargon and make non-energy costs simple. 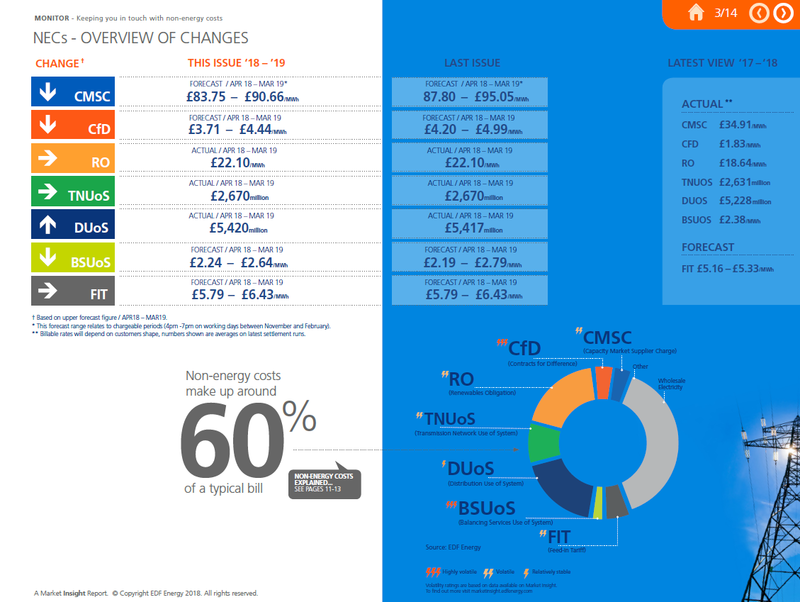 Thing is - it is really important to understand these non-energy costs and it’s going to become even more important in the future. 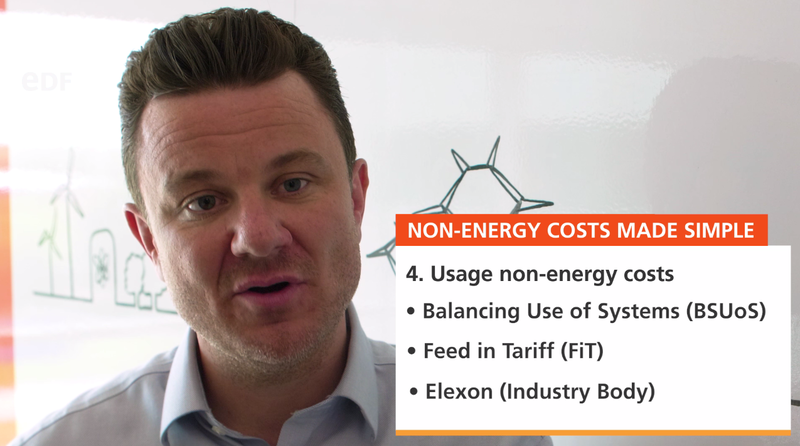 So I’m here to bust the jargon and to give you non-energy costs made simple. Meet Bob. Bob owns a confectionary factory; he makes cakes and sweets for the nation. Bob is very successful. Now one day Bob gets his energy quote, he looks at the numbers and thinks “Gosh! Is that what I'll be paying for energy costs in the next year?" The short answer is no Bob, it’s not. You see, what Bob doesn’t realise is that more than half his quote is non-energy costs. Now you might raise your eyebrows and so might bob. But you see when Bob pays for his energy, he’s not only paying for the electricity his factory is using today, he is powering Britain for tomorrow. And that’s good for Bob’s business too. It’s a bit of a long story, so let's go all the way back to the beginning. Let's have a look at how Bob’s energy gets from generation to gateau, what are Bob’s non-energy costs, and how Bob is helping us by paying for them! So looking at your first group of non-energy costs - they help support the power stations which generate the energy we need to power Bob’s factory and the rest of British business. 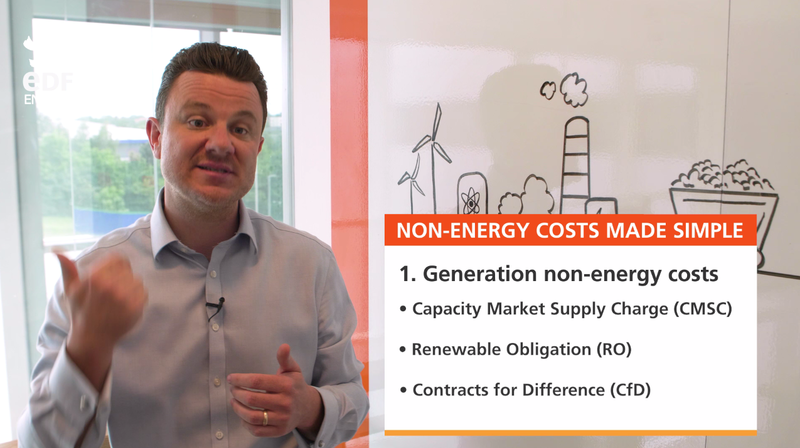 They are called Capacity Market Supply Charge (CMSC for short), the Renewable Obligation (RO) and Contracts for Difference (CfD). So when Bob is paying his bill he is doing his best to support renewable technology and security of supply whilst the power stations keep pumping out power. OK, we’ve generated the energy now we need to get it to the factory. This is where the second group of non-energy costs come in. 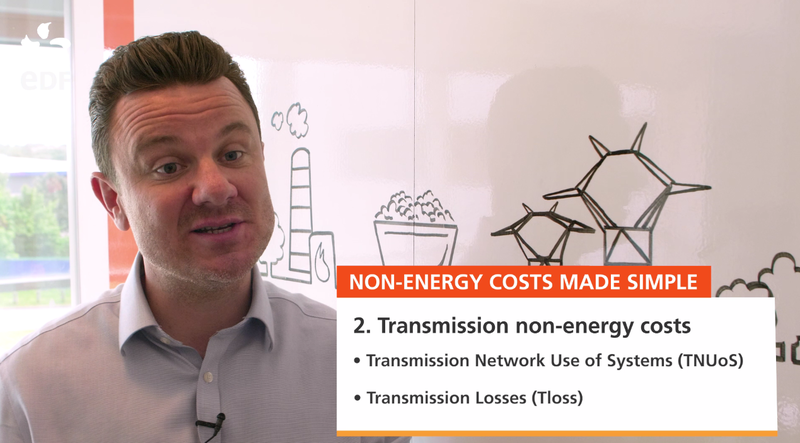 They are called Transmission Network use of Systems (TNUoS for short), and Transmission Losses (TLoss). They support the process of delivering high voltage electricity across the country via the national grid. That gets power to Bob's area. There is also one other. Wait for this… The Assistance for Areas with High Electricity Distribution Costs. That’s one they need to shorten (AAHEDC) this charge helps get energy to everyone in the remotest parts of Scotland. Almost there, we need to complete the journey via a local low voltage distribution network. That’s right, in the local area. 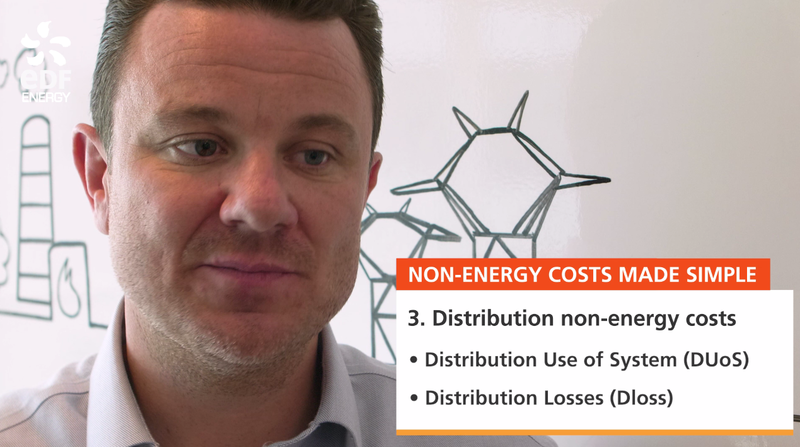 Here is the third group of costs: Distribution Use of Systems (DUOs), Distribution Loses (Dloss). So that gets the power right to Bob’s factory. Once the energy has arrived and is being used there is the fourth and final group of chargers: Balancing use of systems (BSUoS). This is to make sure there is enough energy to go around. Feed in Tariff (FiT) supports those who want to do their bit and generate their own energy. Oh and Elexon for overseeing the system. So back to Bob and his quote. Bob really does need to know about non-energy costs. One, it’s going to help him compare energy quotes. and three, it will help him make the right contract decisions for his business. We hope this story also helps you to make the right decisions too. Here at EDF Energy we have a range of products for Bob and for you. 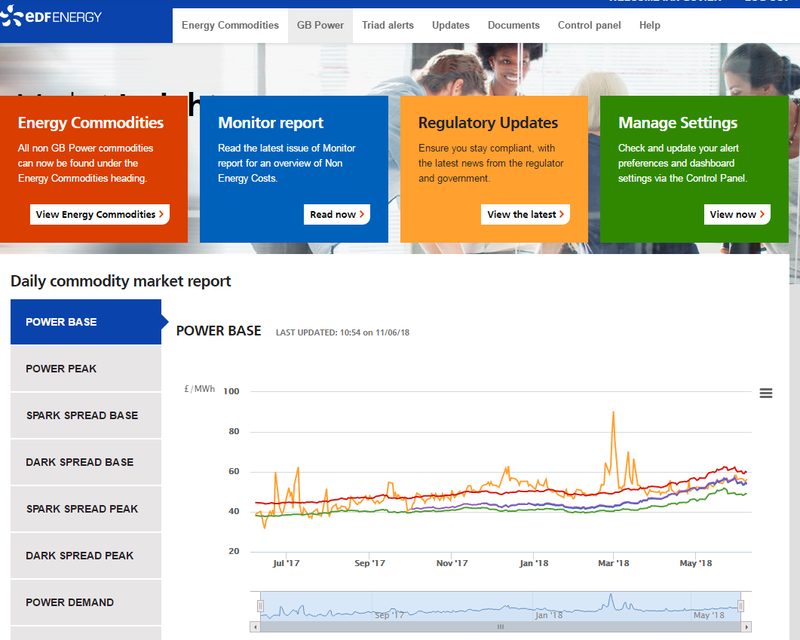 Plus we have tools to help you and Bob keep informed about non-energy costs, like our Monitor Report or our Market Insight Portal. And we have more and more solutions that can help you save energy or help you generate your own energy. Since this is just the very first of our energy education series, I hope to see you again.